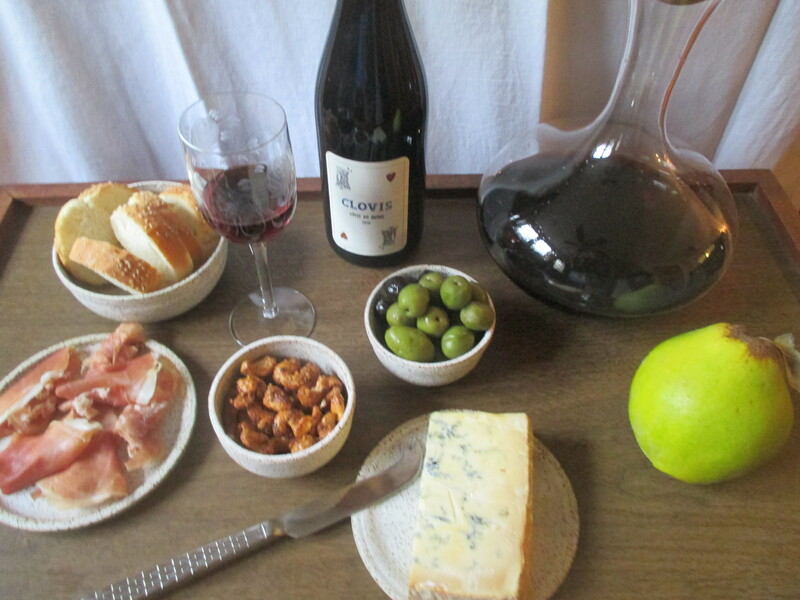 We wrote a version of this post over on The Recipes Project. Rice pudding is simple. Neutral in color and mild in taste, rice pudding has a minimal list of ingredients and always pleases a crowd. It’s also familiar – most of us have encountered rice pudding at one time or another. So, when we kept seeing lists of rice pudding recipes in manuscript recipe books from many centuries, we wondered: why rice pudding? And what, if any, differences were there between past and present versions? 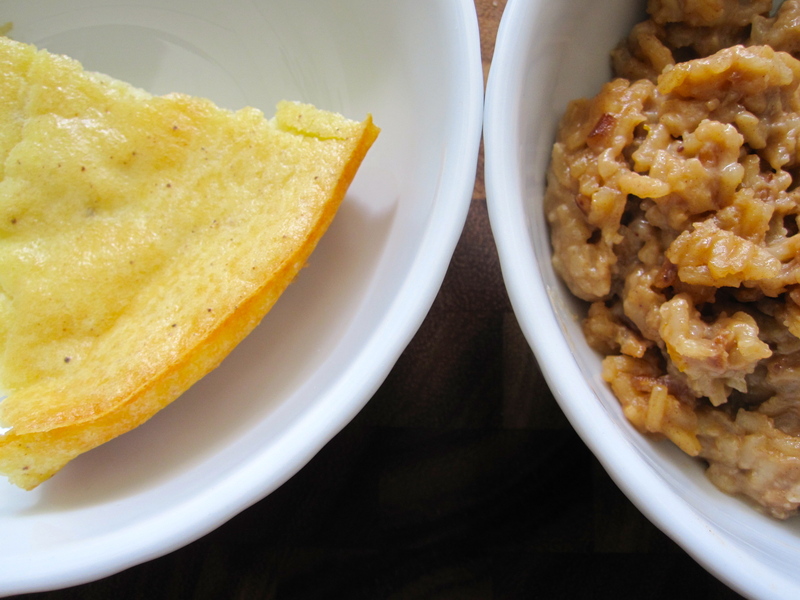 So, we decided to make not one but two distinct rice pudding recipes. A rice pudding face-off! While in the twenty-first century the ingredients required to make rice pudding are pantry staples – rice and sugar are readily available, as is dairy – in seventeenth- and eighteenth-century English households, rice pudding was probably a more exotic affair. After all, England does not produce any of its own rice. We asked another question: where did this rice come from? Chefs and food writers often refer to this meeting of cultures, climates, and ingredients as the Carolina Rice Kitchen. Rice was the foundation of a local cuisine and an important export. Non-aromatic but nutty, Carolina Gold Rice was world-renowned. The PBS show Mind of a Chef included this animated history of Carolina Rice in an episode where Chef Sean Brock makes a passionate case for recovering lost food traditions. For more information about Carolina Gold Rice and southern heritage foods, take a look at these resources: Carolina Gold Rice Foundation, the Southern Foodways Alliance, Anson Mills, and food historian David Shields’ new book, Southern Provisions. The recipes we decided to cook for this rice pudding-off were both included in manuscripts from a particular historical moment: the moment when the rice supply-chain changed and Carolina Gold Rice arrived in England’s kitchens. Our rice puddings come from LJS 165 and MS Codex 631. Each recipe is just one in a cluster of rice pudding recipes, demonstrating cooks’ variations on a base recipe that we’ve seen with other dishes like jumballs and syllabubs. (Rice pudding could also be turned into other recipes: two rice pudding recipes in MS Codex 631 include instructions for adapting them to almond puddings instead.) For contrast, we chose to cook one recipe that started with whole rice and another that used rice flour as a base. 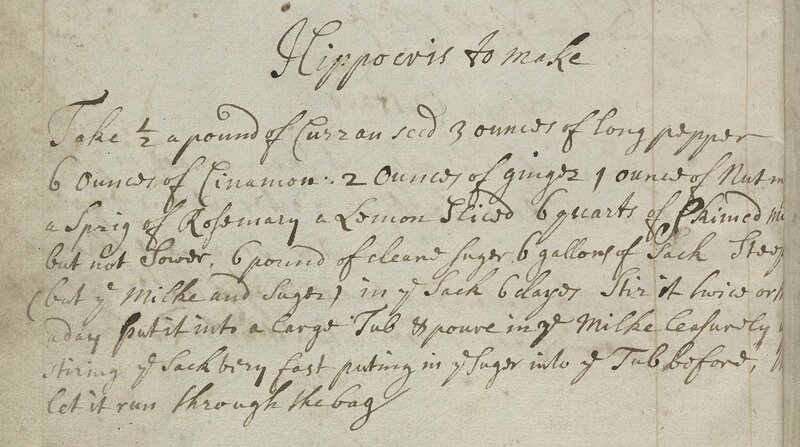 Indeed, we were intrigued, even surprised, to see rice flour in an eighteenth-century recipe. More and more modern cookbooks are exploring a wide range of flours, but what was the place of rice flour in early modern cooking? Rice flour (often “rice flower” or “flowre”) was used as a thickening agent in a range of early modern dishes. Seventeenth-century print cookbooks like The Compleat English and French Cook (1690) and Joseph Cooper’s The Art of Cookery (1654) both call for rice flour in “Cream with Snow” (sweetened cream thickened with rice flour and eggs, then topped with more cream). They also use rice flour in Almond Cream and Rice Cream, as does The Compleat Cook (1694), which also provides a recipe for “Custard without Eggs” using rice flour. The Gentlewomans Cabinet Unlocked (1675) tells how to make Rice Milk. 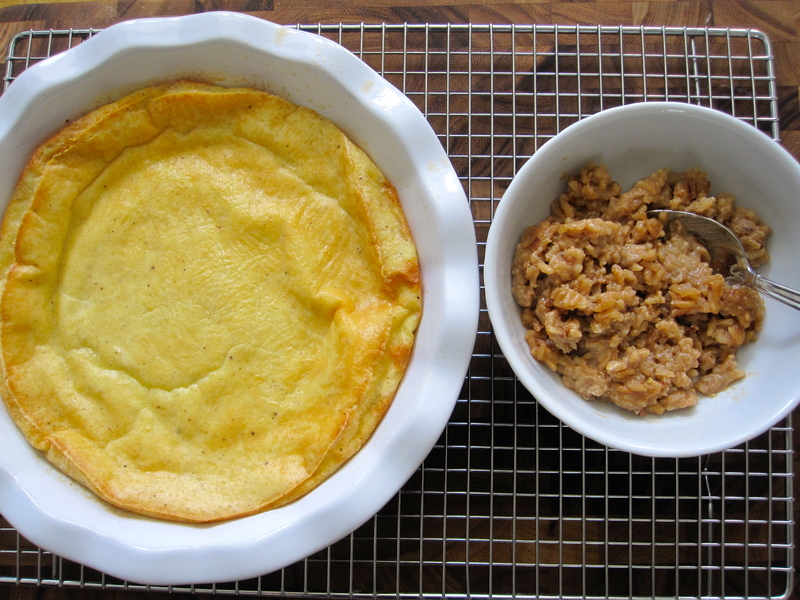 Other rice flour puddings can be found; some add chopped dates and/or currants to the mixture, while others top the pudding with a pastry crust. The use of rice flour as a thickening agent continued well into the eighteenth century: print cookbooks like A Collection of above Three Hundred Receipts in Cookery, Physick and Surgery (1714), The Court and Country Confectioner (1770), and Amelia Chambers’ The Ladies Best Companion (1775?) often use rice flour in cheesecakes and in the filling for chocolate tarts. A whole grain rice pudding from LJS 165. Apparently it is still trendy to flavor rice pudding with cinnamon and orange because a quick search turned up this Food Network recipe. 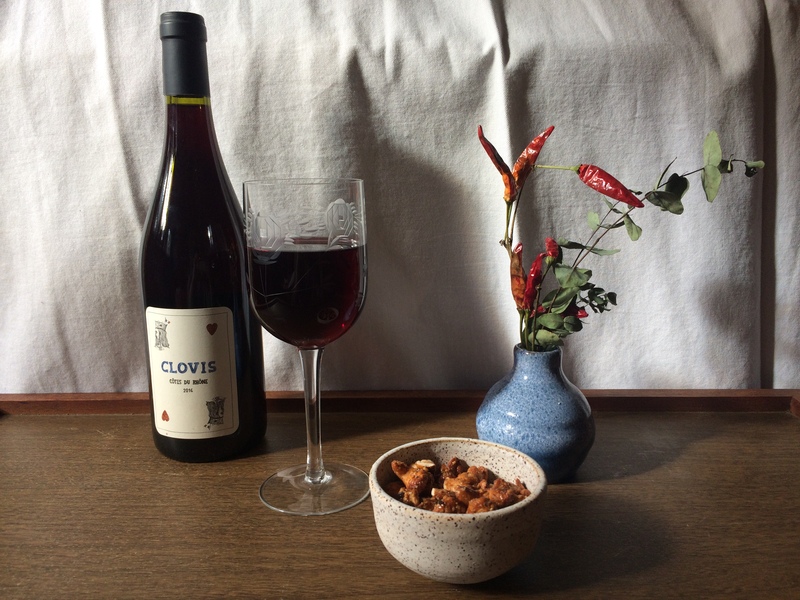 I made two small changes to this recipe: I halved it (and it still made a huge amount) and I didn’t add aromatic ambergris and bone marrow to the mixture. In retrospect, I also wonder if a combination of milk and cream might work better here than cream and the water I added to stop the rice from sticking. After all the talk about Carolina Gold Rice, I’m almost ashamed to admit that I tried this recipe with Jasmine Rice instead. It’s what I had to hand and it worked, although I’m sure Carolina Gold Rice would add a distinctly nutty flavor to the pudding. 1 small piece of bread, grated. Or 2 tbsp. bread crumbs. Heat the cream, sugar, and seasonings: cinnamon, orange peel, and rosewater. Add the rice and bring to a boil. Cover and cook for 45 min-1 hour until the rice is tender. Stir frequently (every 5-10 minutes) to keep the rice from sticking. Add additional water if the liquid is very low and the rice is still hard. When the rice is cooked, stir in the egg and bread. Cook for 5 more minutes. Rice flour puddings from MS Codex 631. I halved this and used ground nutmeg because that’s what I had; otherwise, I followed the original recipe closely. Preheat the oven to 350F and butter/spray a 9″ pie dish or similar baking dish. Combine the rice flour and milk in a saucepan; cook over low-med. heat, whisking frequently. The mixture will thicken quite suddenly, so be attentive! Off the heat, stir in the butter, eggs, nutmeg, and sugar. Bake for 40 mins., until top is puffed and golden brown. Let cool on a wire rack and serve warm or at room temp. Our rice pudding-off was a success! These rice pudding couldn’t look or taste more different. The “whole grain” rice pudding from LJS 165 is toothsome, with surprising depth of flavor from the caramelized sugar and rosewater. The cinnamon adds a spicy note, but the orange flavor is harder to identify. We might switch out the rosewater for orange flower water next time. (If you are not a fan of rosewater, you can probably leave it out altogether.) This rice pudding is especially thick. Even before we added the egg and the grated bread the mixture was already dense. The eggs and bread may have been intended to add bulk to the dish, as rice was certainly more expensive than stale bread! The rice flour pudding, on the other hand, is fairly bland. Nutmeg is the primary seasoning; even the strong notes of nutmeg don’t cut just how creamy this pudding tastes. (Note: some more sugar or some honey might be welcome. However, this doesn’t seem meant to be overly sweet, unlike the whole grain version.) It reminded us of buttermilk pie and South African milk tart, with an even firmer baked texture. It would form a good base for other tastes: served with fresh or stewed fruit, for instance, or with additional flavors added to the pudding. In the eighteenth century, rice pudding represented the world in a bowl. Rice from West African seeds was cultivated in American soil by enslaved Africans in the Carolinas and shipped east across the Atlantic to England. The sugar probably came from the Caribbean. Nutmeg and cinnamon from places like the Moluccas made their way west through Asian and European ports. Oranges imported from Seville and other warmer climates scented the dish. The eggs, milk, cream, and bread are the only ingredients early modern cooks would have been able to source locally. These ingredients rely on both trade and labor – their production depended on plantation agriculture and their presence in England came from a highly developed global transport network. It’s not as if these structures don’t underpin many – if not all – of the recipes we’ve cooked so far. However, paying particular attention to this single ingredient, rice, has challenged us to consider how ingredients entered early modern kitchens in the first place, even before they became the recipes in a household manuscript. What surprised us most about making these dueling rice puddings was not the questions of culinary and economic history they raised up, but the true difference in taste. In both, the taste of the rice remains – even through the single note of nutmeg in the rice flour pudding and the dense combination of flavors in the rice grain pudding. The taste difference, furthermore, is deliberate: the presence of multiple rice pudding recipes – similar but distinct – within the same manuscript recipe book indicates attempts to explore the versatility of this ingredient, to incorporate other flavors into a recipe that has one umbrella name but many flavorings and techniques. We’d be curious to taste these again using heritage rices, direct descendants of the Carolina Gold Rice these cooks and their contemporaries would most likely have used. In both cases, we were able to follow the ingredients and techniques fairly closely (minus ambergris and marrow), so what we tasted in our dueling rice puddings seems, to us, a likely descendant of these puddings as they were originally prepared. 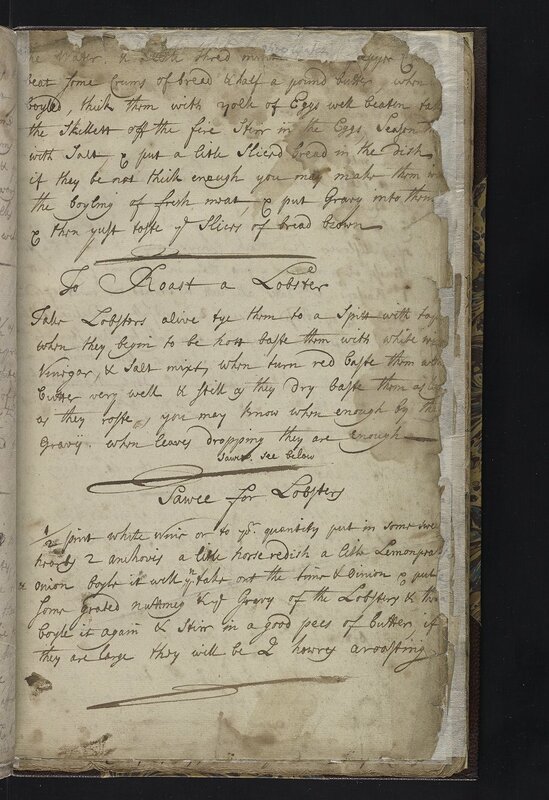 To take a break from roast poultry, I wrote about a recipe for roast lobster from MS LJS 165 for The Appendix Blog. You can click here to read the full post. Since I haven’t yet tried the recipe and roasted a lobster in my own kitchen, this post does not follow our normal format. But I didn’t want you, dear reader, to miss out on a potentially delicious archival preparation for this mighty crustacean. I’ve copied my transcription of the recipe and a few notes below in case any of you are brave enough to give it a try. Let us know how it goes! We’re working on some tasty holiday recipes to share with this season. Until then, consider roasting a lobster. Or give this brilliant Financial Times article about cooking traditional Christmas dishes with food historian Ivan Day a read. Tied to a stake, the lobsters are roasted over a fire and basted with butter for approximately two hours. An accompanying white wine and butter sauce, seasoned with anchovies, horseradish, lemon, onion, and nutmeg, complements the rich flavor of the lobster itself. It’s high time that we talk about jumballs. We were initially mystified by the moniker, but jumballs are a classic early modern treat: A rich, satisfying, highly-spiced, shortbread cookie. They are the single most delicious thing we’ve cooked from the archives to date. Like other sweet and savory recipes from the period, this recipe uses fragrant whole caraway and coriander seeds enlivened by aromatic rose water, the richness of egg yolks and butter, and the deep nuttiness of ground almonds. Other than halving the quantities in the recipe (which still made a lot of cookies) we’ve made no changes to the dough mix and simply reformatted the instructions into a modern style below. *Halved from the original. We also used a baking scale for this one, but we’ve included approximate volume measurements. Mix flour, sugar, and spices in the bowl of a stand mixer (or a large bowl if mixing by hand). Add melted butter, rosewater, egg yolks, and ground almonds and mix until a uniform dough forms. Place dough on a lightly floured surface and shape into cookies. We did this by rolling the dough into a log and slicing 1/4 inch cookies, but there are many other ways to shape this kind of dough. Bake 20 minutes or until brown around the edges. Cool on a rack before devouring, if you have the willpower. They don’t look like much when you lift them onto the cooling rack (does shortbread ever look impressive?). But the aroma of spice and sweet gives it all away. Jumballs are truly delicious. Their balance of nut and spice, fragrance and buttery texture is divine. They’d hold their own in a spread of cookies. 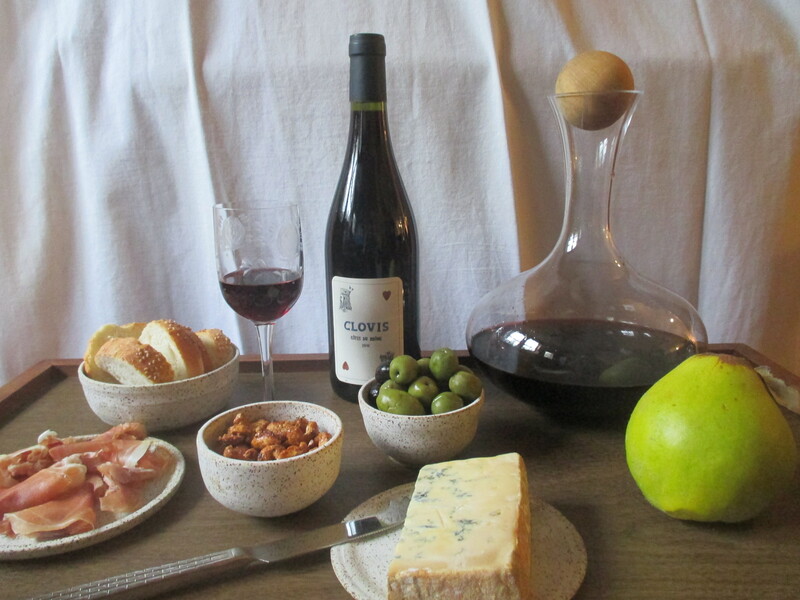 We’ve since learned that they pair well with Italian Cheese, but we suspected from the beginning that they would complement vanilla ice cream, custard, fresh fruit, or a simple cup of tea. When we shared these with unsuspecting friends they were bowled-over by the surprising and delightful presence of coriander. And their first guess was that we’d found the recipe on one of the latest trendy food blogs, not through this archival project. We’ll be making these again. Update: Since we posted this recipe, we’ve learned that our fish custard might have been tastier had we prepared it using different methods and ingredients. Please see the comments for a variety of helpful suggestions. And if you successfully recreate this dish, please let us know! Some recipes should stay in the archives. The Doctor makes fish fingers and custard look pretty tasty. And while we suspected that fish custard might not prove our favorite recipe from this project, how bad could it really be? 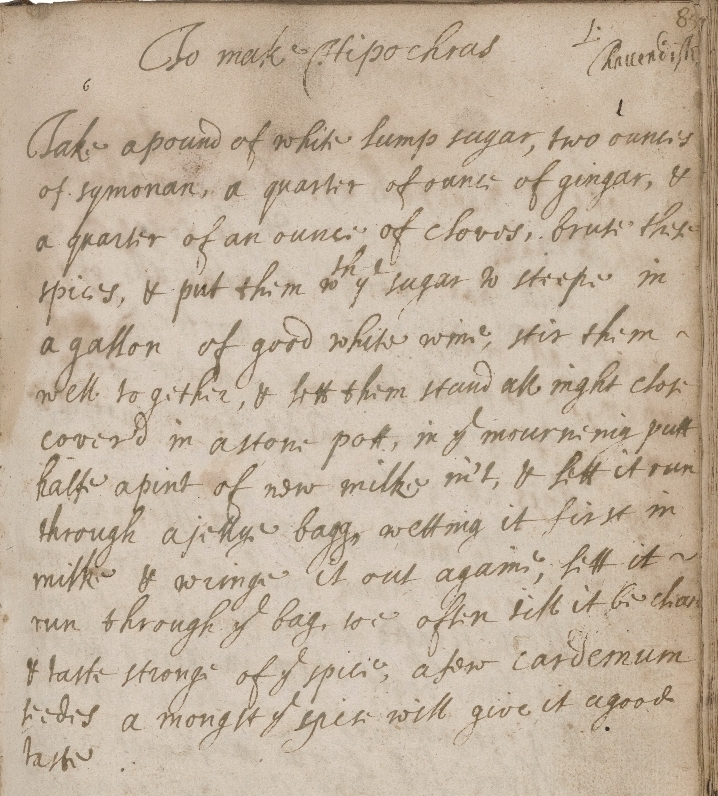 This fish custard comes from UPenn Manuscript LJS 165, a collection of recipes in multiple hands, written and gathered together sometime between 1690 and 1802. Readers could consult the collection to find other culinary recipes but also to find out about various household remedies, like how to cure colic (presumably, by not making someone eat this dish) or to kill moths (probably by setting out a bowl of fish custard, thereby driving all living things out of the vicinity). Please don’t try this at home. No, really. Please don’t. Preheat the oven to 350F. Butter a small casserole dish. Stir together all ingredients, then spread evenly in casserole dish. Bake for 15-20 minutes. Remove from oven and cool for at least 10 minutes before serving. We quickly realized that this wasn’t going to be a traditional custard – the ratio of almonds to dairy is much too high to produce anything like a creamy texture. (The original recipe did include straining, but that would have removed all of the almonds and dates, which seemed counterproductive.) To make the mixture stir-able, we added a few spoonfuls of milk. We were unsure how vigorously to beat in the fish roe: should the eggs be broken down and, liquified, dispersed evenly throughout the custard? Or should they maintain their shape? We erred on the side of folding them in gently. It’s possible that we should have put the whole mixture in the food processor; this might have improved the final texture somewhat, though it’s unlikely to have helped the taste. 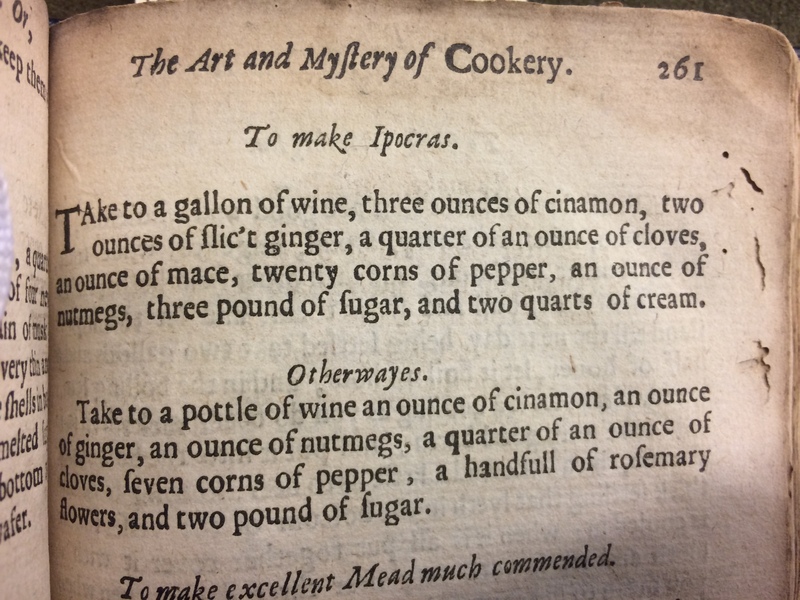 This recipe raised some interesting questions for us about interpreting early modern culinary instructions: with other recipes, we’ve had some idea of how they would turn out, especially when we started cooking and realized that they resembled some modern-day counterpart. This similarity provided some guidance; even when the original recipe’s instructions weren’t quite clear to us, we could extrapolate from other knowledge and proceed with some degree of confidence. The addition of the fish roe, in fact, threw us off less than the realization that this “custard” would not resemble anything we would call by that name. We were apprehensive – which seems a valid reaction to a fishy dessert – but also curious. What would the texture be like? Would the fish roe somehow pair beautifully with the almonds and dates in a salty-earthy-sweet combination? So, was this failure our fault? The fault of the recipe? Should we write off early modern palates as utterly mystifying? Was the mere existence of this recipe a joke from the time-traveling Doctor? We’re willing to believe that the original execution of this recipe was probably more appealing than our effort, though we doubt that this would ever have tasted good. Readers, we did this for you. You’re welcome. Now, please excuse me while I go brush my teeth again.